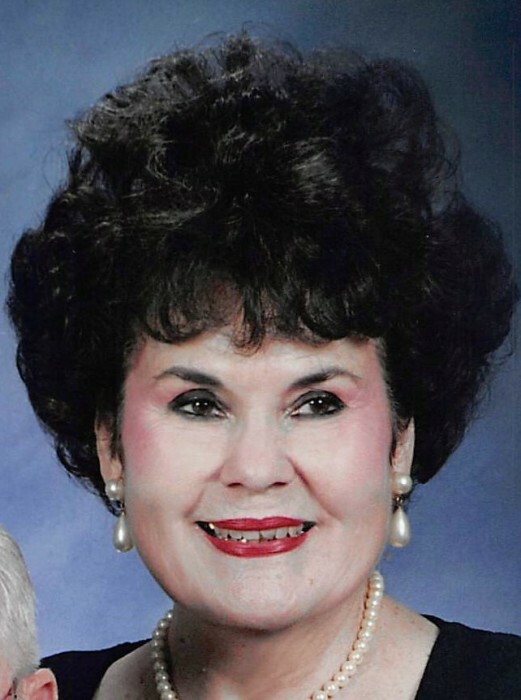 Norma Jo Currie Price, 89 of Canyon passed away on Wednesday, November 28, 2018 in Amarillo. Services will be 2:00 P.M. Saturday, December 1 at the First Baptist Church with Dr Rick Shaw, officiating. Burial will follow at Dreamland Cemetery. Heaven received a beautiful angel. Jo was born August 22, 1929 to Joe and Thelma Currie on the edge of Palo Duro Canyon. She went to school in Canyon and graduated Canyon in 1946 at age 16. She took college classes at WTSU. She supported the family business, Currie Drilling Company, as the book-keeper as a teenager and continued until she retired in 1980. She married Buddy Price in Canyon on February 14, 1948 in the home of her parents. They were married 68 years. Jo loved her children, grandchildren, great grandchildren, great, great children, nieces and nephews and their families. She always thought her family was perfect and always said she could not have ordered a better family. Jo was a faithful servant of her Lord and Savior. She loved to say “Jesus Loves You” to family and friends. She loved to travel and traveled many states and around the world. She was a witness where ever she went. She was faithful in her church as long as her health allowed. She also loved volunteering in the elementary school tutoring young people. Jo was a beautiful inside and out and also loved beautiful things around her. She left a wonderful legacy for her family. She was preceded in death by her husband, Buddy Price, parents, Joe & Thelma Currie and brother, Golden Currie. The family will receive friends from 6:30 to 8:00 P.M. on Friday, November 30 at Brooks Chapel, Canyon. The family suggests memorials be made to Dreamland Cemetery, P.O. Box 38, Canyon, TX 79015.